Today, television and broadband internet are an essential part of student life. They are two of the things that every student will want to get set up when they move into new accommodation. 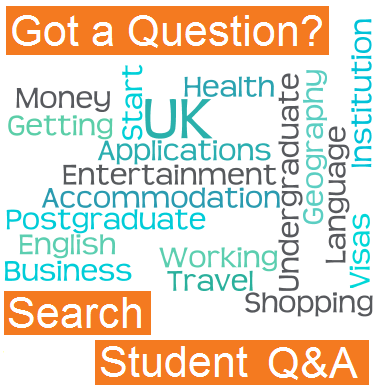 Find the cheapest and easiest ways to get them sorted in the UK. Having the internet is essential for any student these days. If you are staying in student halls of accommodation then the university will probably provide an internet connection for you. However, if you are living in private accommodation then you will almost certainly need to arrange your own internet connection. For this, there are a number of different internet providers in the UK all offering different prices and connection speeds. This special 9 month student contract gives you up to 16Mb download speed, totally Unlimited Broadband Usage & free UK Weekend Calls. All for just £16 a month + line rental £15.45 a month. 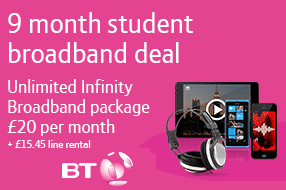 This 9 month student contract gives you super fast 38Mb download speed, totally unlimited usage & free UK weekend calls. All for £20 a month (£23/ month from month 10) + line rental £15.45 a month + £30 activation charge. 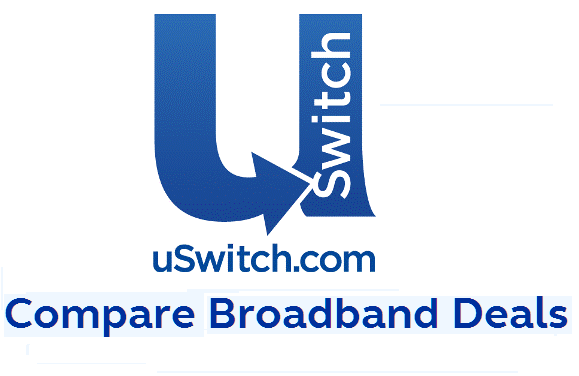 Using a price comparison website like uSwtich is easy. Simply enter what you want and it will search for the cheapest price. Whether you want just broadband or a package including TV. In the UK, you are required by law to pay a licence fee in order to have a television set up in your home. The annual price of a TV licence is £145.50 for 2013, and you can pay for it online here. You can no longer get analogue TV in the UK as it is all now digital. The basic digital package is called 'Freeview'. As the name suggests, once you have bought the digital box, it is completely free to watch- there are no monthly subscription fees and you can choose from over 50 channels. All modern TVs now come with Freeview already installed, but if you are using an older TV, you may have to buy a Freeview box. These are very cheap now and you will be able to easily install it yourself simply by connecting a cable. A Freeview box will get you over 50 TV channels and 25 radio stations with no monthly subscription fees. 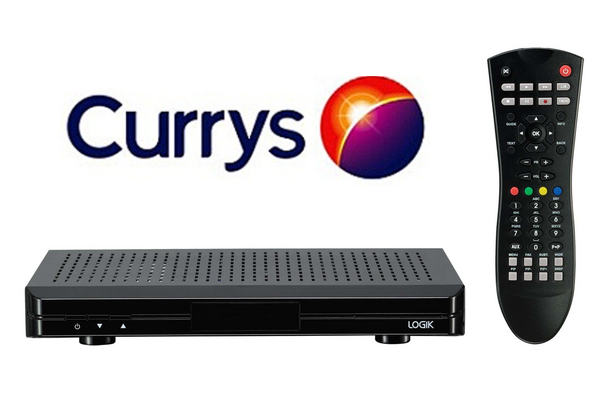 Currys is one of the UK's biggest electrical shops and has dozens of different Freeview boxes starting from just £25. 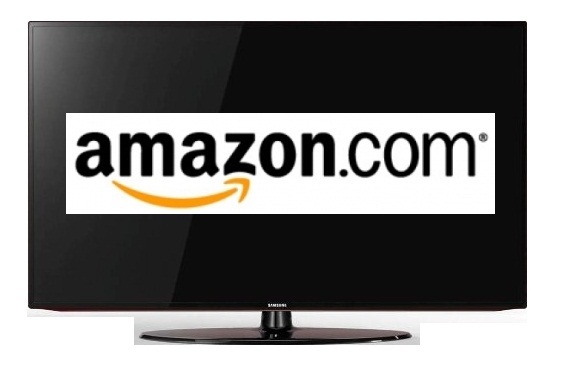 If you're looking to buy a new TV, then the best place to look (as with most things) is Amazon. They've got a huge range of televisions ranging from huge 3D flatscreens, to more basic (and much cheaper) options from £55. If you want more than just the basic Freeview TV then you will have to pay a monthly subscription. There are plenty of different options, all offering different packages and channels. Depending on what you’re interested in you can get just sports channels, just movies or a little bit of everything. Sky is the best known TV company and have some great deals. They have several sports channels which show all the major football matches, and loads of movie channels showing films 24/7. Packages start from just £15/month.